The Toltec were a group of people in southern Mexico consisting entirely of men and women of knowledge. The members of this group had devoted their life to studying the sciences and the arts and had thus banded together to conserve the knowledge and practices they had learned. Over the years, the older Toltec (known was naguals, meaning “masters”) passed their teachings down to their students, and so the Toltec legacy was kept. 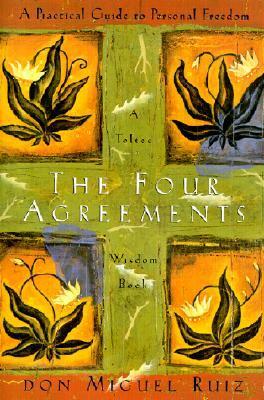 The Four Agreements: A Practical Guide to Personal Freedom is a book written by Miguel Ruiz, a nagual from the Eagle Knight lineage. This book was written with the intention of teaching the esoteric Toltec knowledge to all those willing to read it. Although spirituality and the concept of God are mentioned a few times in this book, the advice given can apply to people from all walks of life. We have thus compiled the advice in this book into actions that you can follow to better the quality of your life. The first few actions are to increase your happiness in life, and the next few are for self-development as well as attaining personal freedom. Keep in mind that the end result of even the self-development and personal freedom actions is happiness, as this book revolves around the themes of happiness and love. It is important to remember that Toltec is not a religion; it is simply a way of life. So, we hope you enjoy applying these actions to your daily life, and we wish you all the best! Keep reasonable expectations for yourself. Do not form opinions of yourself based on what others say.